Sometimes shooting from one angle isn’t enough. Like this weekend when I was asked to take pictures of an engineering project in Petersfield, Hampshire, where I needed to split myself in two. One of me shooting from the ground, the other from the roof (see photo of camp-looking man). But short notice and budget prevented this option, so I had to improvise. Apart from my weird stance, the transmitter on my camera is firing the remote camera. I needed to get shots of a crane lifting large steel braces to the roof of a college building, and I knew the best shots would come at different stages of the process and from both ground-level and roof-top vantage points, so I decided to cover both angles. Setting up a ground-level camera and attaching a remote switch, I was able to be on the roof as the structure was lifted, but fire the remote camera below to get the alternative angle. 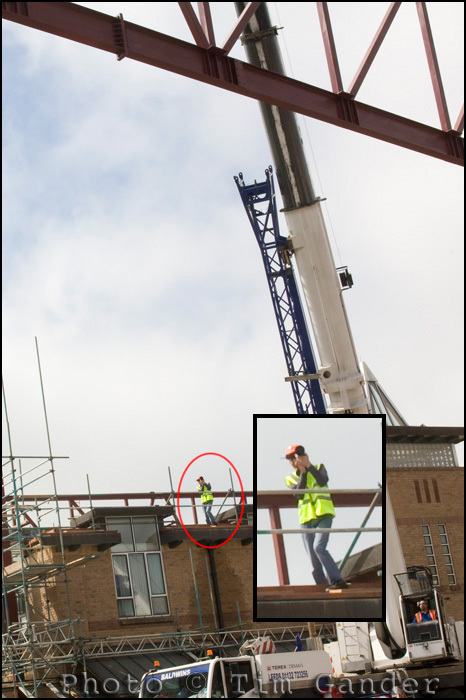 This also meant I didn’t have to run through a building site and up onto a roof to get pictures of the steel frame as it arrived at roof level. I wasn’t sure the radio transmitter and receiver would talk to each other over such a large distance and with the signal also having to pass through the building once myself and the remote camera were out of line-of-sight. The Pocket Wizard sits on the hot shoe just to keep things tidier. Using Pocket Wizards I was able to press the fire button on the transmitter to fire the remote camera. As the trigger transmitter was mounted on my camera’s hot shoe I was also able to fire the two cameras at once if I wanted and it didn’t matter where I stood, the remote camera fired reliably. 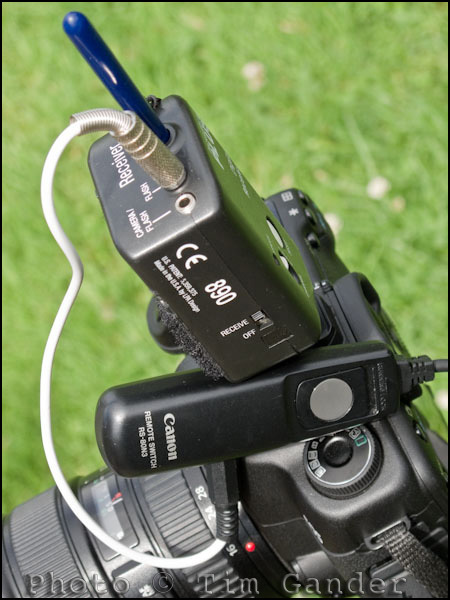 You can buy a special adaptor to plug a pocket wizard directly into a camera, but I made a lash-up version some years ago using a Canon remote switch which I adapted to take a lead from my Pocket Wizard receiver. It’s a bit messy, it means I have to use manual focus, but it works very well. Alternatively you can now buy some pretty cheap remote trigger sets, and though I can’t say what their range is it’s probably enough to open up some new options for firing a remote camera for self-portraits and other more creative applications. Here’s a slightly unusual scenario; A client requires one set of pictures for their website, and a couple more for press release. They only have one slot in which to get everything done, so who they gonna call? Hilton Vending is a local business owned by Martin and Sarah Killian, set up in 1992 installing drinks and snacks machines. They recently ventured onto the internet and got their first website built, but they needed a few images to personalise it. After all, their clients know them and they’ve got a friendly approach so hiding behind stock images of anonymous people was leaving their website looking a little sterile. At the same time, they needed images to go with a press release regarding the change that is coming to, er, change. To be precise, 5p and 10p coins will be changed to coins with a different alloy content and makeup (you can find out more here) and this will result in a cost implication for any business operating coin-based services – drink and snack machines, auto tolls like the new Severn Bridge crossing, parking machines. All these systems will need to be re-calibrated. Martin wanted to publicise this change with a press release, so needed a photo to go out with the story. This cutout was destined for the home page. Luckily for Martin and Sarah, I was able not only to create a set of studio pictures for the website, but also illustrate the PR story with a suitable shot. We spent a couple of hours trying different set-ups for the web photos, and in the end we got them some options which were suitable for use on various pages of the site. Originally Martin and Sarah thought they only needed a home page photo, but having got them to try various ideas we ended up with pictures they could use to spruce up the whole site. This "bonus" shot made a fun picture for the Snacks page. Having got the studio shots done, I took Martin outside and worked on the idea of money being poured away as a result of the forthcoming coin change. I came up with the idea of Martin pouring coins out of a coffee cup to illustrate the waste, and the kind of industry that would be affected all in one shot. Oh, and I may have snuck the company name in the background too. An eye-catching press shot, and of course there's an upright shot too. By combining the two shoots, Hilton Vending saved time and money, and got a few extra shots they hadn’t realised they needed. We were all ready for a coffee by the end. Q: Is every photo I take covered by copyright? That’s some seriously dangerous thinking by a photographer who staunchly believes that copyright is the lifeblood of this industry, but I think it might be true. So let’s lift the lid on this spectacularly large can o’ worms and see what spills out. Copyright in the UK is under serious threat. The rather tainted conclusions of the Hargreaves report aim to persuade the UK Government to introduce orphan works legislation, which in tandem with something called extended collective licensing, will allow large corporate organisations to profit from the millions of un-attributed photos currently found on line or stored in ready-made databases (the BBC likes to collect peoples’ photos and then orphan them). This concept is full of gaping holes ready to be filled by law suits, but I’m almost hoping the legislation comes to pass just so the Government can finally be forced to understand quite how incompetent Hargreave’s review has been with regard the protection of photographers’ copyright and moral rights. I fear nothing less than legal chaos will get them to see sense. That’s interesting, because what it means is that if you can’t show that a photo you have taken exhibits a degree of labour, skill or judgement, it may be it isn’t covered by copyright. Note the “or” in that clause though. 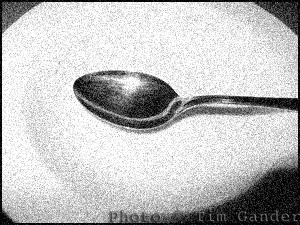 A photo could be the product of only one of labour, skill or judgement and it would benefit from copyright protection. It would have to be lacking in all three in order not to qualify. Is any old rubbish protected? Presumably this is so that people can’t copyright everyday objects in order to prevent their wider use. I can’t copyright a blank piece of A4 paper, then sue anyone who writes a letter on blank A4 paper by citing their work as derivative of my copyright work. Equally I can’t take a photo of a famous landmark, then try to prevent anyone else from doing the same by citing my copyright. Each person who photographs that landmark will own the copyright in their photo of it, not in the scene itself. This point is stretching a little far now, since the photo of a landmark is the “realisation” of the scene, and it’s the realisation of a scene or idea which has copyright vested within it, not the scene or idea itself. Ah, now it's art! Better watermark this one. So getting back on track to my point (yet again), when would a photograph not exhibit a degree of labour, skill or judgement? Well presumably when the photographer hasn’t chosen the angle, chosen the camera settings, which lens or focal length to use and hasn’t judged the scene with any degree of care. You could almost argue that someone holding an iPhone up to snap a view has done none of these things and might therefore not have the protection of copyright for their picture. Dammit; worms everywhere. Discuss amongst yourselves while I fetch the dustpan and brush. 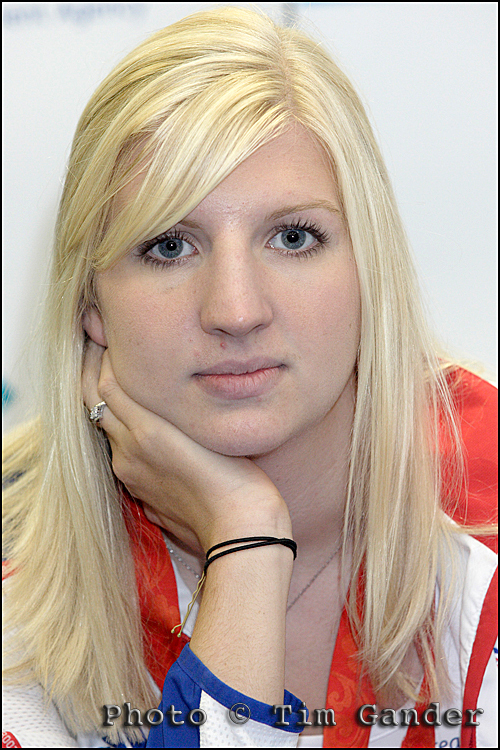 This photo call test shot of Rebecca Adlington was more interesting than the shot the PR lined up for us. Since the majority of my work now involves working directly with companies on their corporate photography, I don’t get to do so many photo calls as I once did. Besides which, photo calls aren’t so popular as they once were. Back when I was on staff at The Portsmouth News, and subsequently when I freelanced for national newspapers and agencies, photo calls were generally used by police forces for missing persons appeals or during a crime investigation. It was one way to control how much information got out to the press. Other photo calls would be for a new theatre production, a gallery opening, book signing or product launch. Anything really where a few different publications and maybe TV and radio would be invited along to help publicise something. Perhaps the other reason photo calls are out of favour is that newspapers have let so many staff photographers go, and cut freelance budgets so far, that they simply don’t have the resources to send someone along to an event which might take them out of circulation for over an hour while they’re wooed by PRs, held up by shifting timetables and badly planned itineraries and then have to be dragged away from the canapes and free drinks to go to the next cheque presentation. Martine McCutcheon wrote a book about the first ten minutes of her life. can add a reporter’s byline and publish the story and photo verbatim. Job done. The photo call used to be a good chance for me to catch up with fellow “smudgers” from other agencies and newspapers, but on the rare occasion I am sent to one now I tend to find myself in the company of people who have a camera, but no real clue. It may be that as new media channels open up, and quality returns to journalism (I happen to believe and hope that tablet computers may be the dawn of a return to quality content) the photo call will make something of a comeback, though I suspect it may be dead for good/better.